When our engineers began designing the Alpha Alpha 10 & 12 series R35 GT-R builds, they knew we would need a set of connecting rods that would withstand the 1000+ horsepower and extreme torque levels. 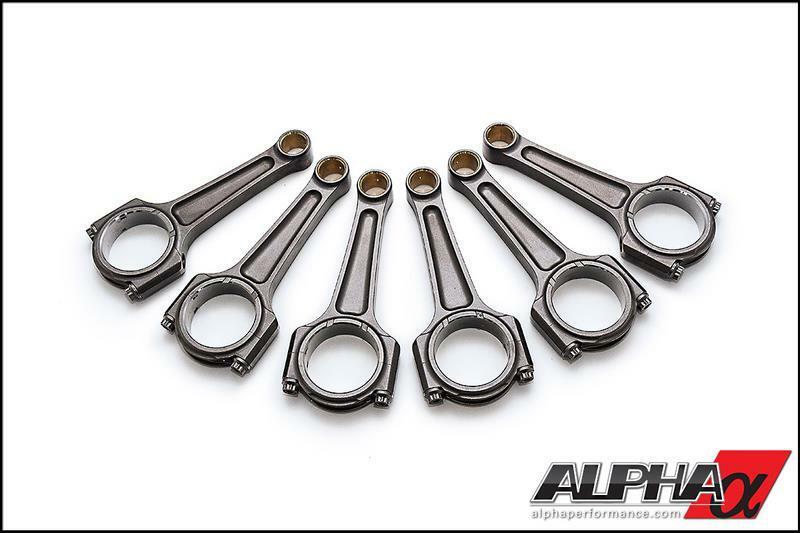 With limited choices on the market for this level of performance, Alpha Performance decided to work with Manley Rods to develop the Alpha Extreme-Duty Connecting Rods suitable for over 1500HP! These specially designed rods started with a proven, robust I-beam design forged from 4340, aircraft quality steel. To ensure the upmost structural integrity each rod is degassed for a consistently strong density throughout the material. Each rod is then shot peened after machining to Mil specs and 100% magnafluxed individually to check for subsurface weaknesses. 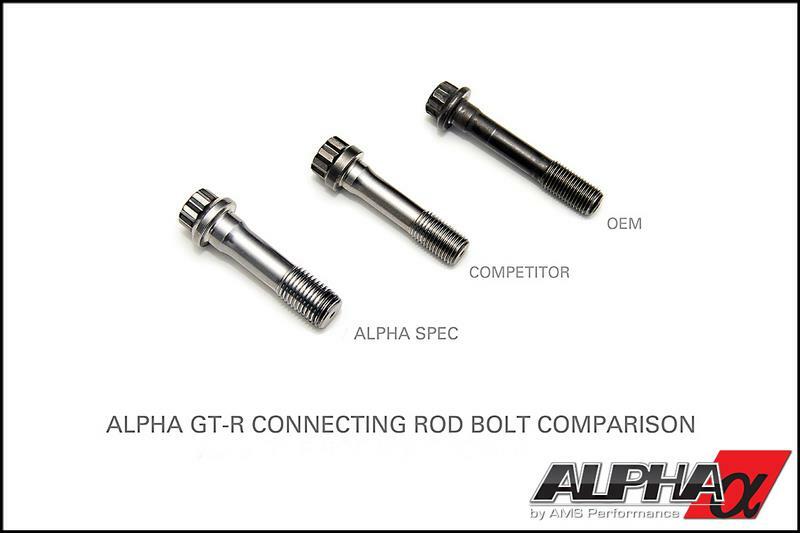 For added strength and reliability, larger 7/16” ARP 2000 bolts (22% larger than stock) were incorporated into the design – thicker than any other aftermarket rod bolts available for your GT-R.